These are the last links you will see from me for the next two weeks. 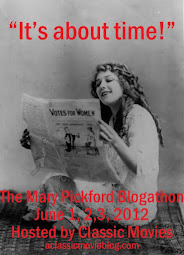 Starting tomorrow, I’ll hand the reigns over to eight talented bloggers for the next two weeks. This is going to be great fun. Please drop by and show them your support with lots of comments! There are some couples/characters on screen I wish had been real. Bogart and Hepburn in The African Queen are one such couple. Love that movie. I just watched African Queen thingy, and I know what you mean. They had such playful affection for each other. It was hard to believe they were acting.